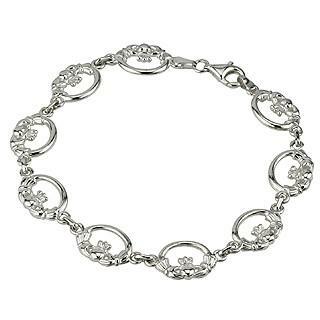 S5372 - Claddagh Bracelet, The hands represent Friendship, the heart Love and the crown Loyalty. 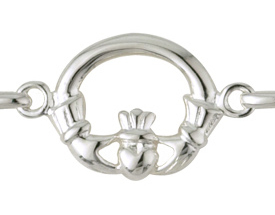 This bracelet shows the claddagh symbols. The hands represent Friendship, the heart Love and the crown Loyalty.